The museum-monument of wooden architecture and painting of the ХVI – XIX cent. is located in the western city part, on a hill above the Hnyla Lypa river. The Church of the Holy Spirit was mentioned in the records of the Central State History archive of Ukraine in Lviv in the ХІІ century, and also in 1481, 1562 and 1567. But Volodymyr Vuytsyk, a researcher from Lviv, entered also the year of 1598 to the scientific usage, as year of the church creation according to the inscription on its wall. It was built without a nail. 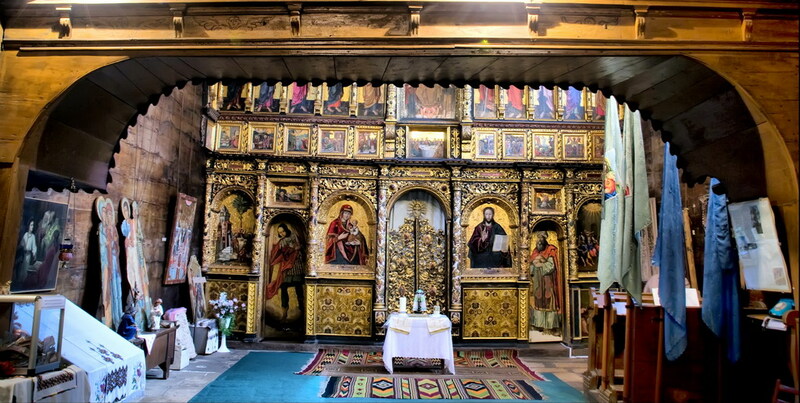 Length of the building is 22 m, width – 7 m. The altar is separated from a nave by an iconostasis that is one of biggest masterpieces of Lviv painter school of the late renaissance epoch. Created in 1650 the iconostasis consists of five horizontal tiers: “predely”, “namisniy”, “praznichniy’ or “festive”, “apostolic” and “prophetic”. 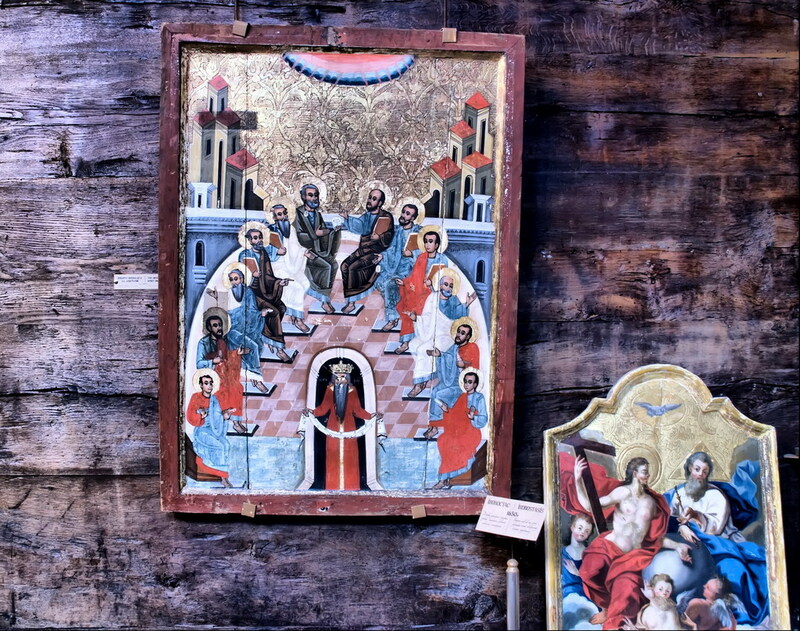 A number of other icons are also represented in the church display. In 1983 the Church became a museum – branch of the Ivano-Frankivsk Regional Art Museum (Prykarpattya Arts Museum nowadays). 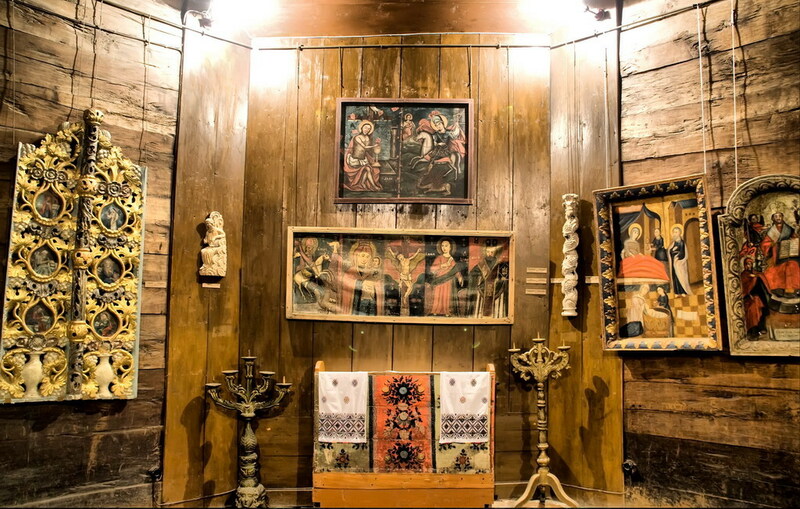 It was included into the list of the wooden sacral architectural monuments of Ukraine that has been submitted to the UNESCO world heritage list. Working days: Tuesday – Sunday. There is a small parking place nearby the church gate that together with a fence surround the church court yard. There is a call button; a path covered with old tiles leads to the temple (deformations, cracks and others like that). The path goes up a little bit (the inclination is small, however the assistance of the accompanying person is needed for a guest on wheel-chair). Just on the way to entrance there are three high steps, no ramp as for now. The door width is enough to come in on a wheel-chair.